Will the cult TV show live up to expectations when it returns to the small screen in 2016? Twin Peaks is returning to TV screens in 2016. Almost a quarter of a century after its scary finale, can David Lynch and Mark Frost recreate that special, strange magic? This has been an extraordinary year for fans of Twin Peaks. To mark its 25th anniversary, the show was re-released on sparkling Blu-ray alongside the much-maligned feature film Twin Peaks: Fire Walk with Me and, for the first time, the fabled 90 minutes of deleted scenes from that movie. And now, after all this time, we've learned the show will return to television screens in 2016. I'm currently watching Twin Peaks for about the 40th time and I'm absolutely thrilled that right now, for only the second point in my life, I don't know how it will end. Initially focused on solving the mystery of murdered teenager Laura Palmer, Twin Peaks audaciously attempted to weave a single narrative thread through multiple seasons, loosely holding together various soapy sub-plots populated by a formidably strange cast of characters. I say 'attempted to' because studio heads at ABC clearly had no idea what they had on their hands, so clumsily forced co-creators David Lynch and Mark Frost to wrap up the central murder early in the second season. A hands-off approach from its creators caused the series to flounder before they returned at the very end with an unforgettably dark cliffhanger (very much Lynch's handiwork after he rewrote swathes of Frost's original script while filming). Negotiations for a third season failed, and the show was finished. But Twin Peaks burned bright during its reign from 1990-91. It was television unlike anything that had gone before, heralding the medium's 'golden age' and ushering in the likes of The Wire, The Sopranos and Breaking Bad. Can't get enough of True Detective? Thank Lynch and Frost for laying the groundwork a quarter of a century ago. The X-Files' conception can be practically pinpointed to David Duchovny's turn in Twin Peaks as DEA Agent Bryson, and the opening episode of The Killing (Forbrydelsen) lifts from it wholesale. But over the past 23 years, nothing else has quite filled that gap for me and I've been happy to repeatedly indulge myself in some of the finest television ever produced. Its sudden return has been so positively heralded because the new nine-part series is being written by its original co-creators, with Lynch directing the whole thing. This is particularly significant since Lynch has been on a hiatus since the 2006 film Inland Empire. To have him embark on any new project is tremendously exciting; that it should happen to be a new series of Twin Peaks is sending fans into apoplexy. 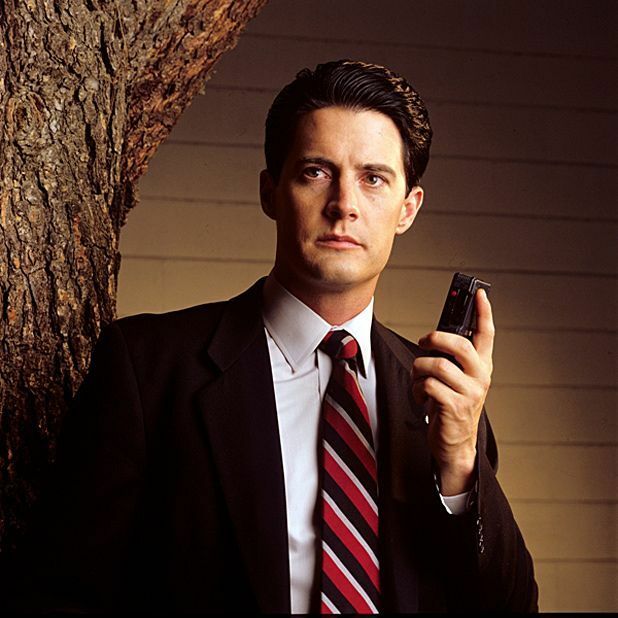 Details remain understandably sketchy about casting but speculation is rife that Kyle MacLachlan will return as the series' beloved Special Agent Dale Cooper. When Twin Peaks was originally produced by ABC, Lynch found himself frustrated by the restrictions of commercial television. So, I'm fascinated to see how far he pushes the 2016 series at its new home on cable network Showtime, and I'm confident that both he and Frost will be afforded the creative freedom they require. Despite the persistent rumours cultured on the internet and elsewhere in the intervening years, I honestly didn't expect to see Twin Peaks ever return. But with all the crucial elements gradually aligning, I'm confident the result will be both wonderful and strange. As the Giant said: it is happening again. Murray Robertson is a freelance writer and full-time log lad.